Following the official announcement on November 19th, The Bonita Spirits Company is going to be showcasing their ultra-premium platinum tequila at Phoenix Tequila Fest. The event takes place on December 15th and 16th at the US Airways Center in Phoenix, Arizona. 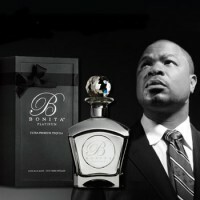 Fans and tequila connoisseurs can sample Bonita, taste the signature cocktail “The Bonitarita”, meet Xzibit, and get autographs and photos from the hip-hop superstar. Tickets are available at Ticketmaster, the US Airways Center Box Office, and http://www.PhoenixTequilaFest.com for $45. Each ticket includes all tequila and food tastings at the event, plus bartending showcases and other exhibitors. Bonita Platinum is the world's only five-times distilled tequila. The much-anticipated product has been met with critical acclaim, receiving multiple awards prior to launch.